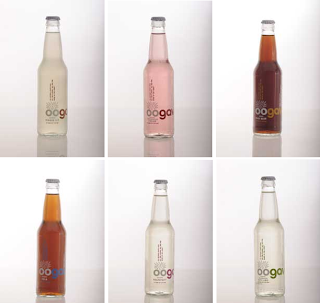 "The idea for Oogavé sodas first came to Esteban Anson while running his small natural foods restaurant in downtown Denver. As a fanatic of quality, and a devotee of delicious and wholesome handcrafted foods, Esteban used only the best natural ingredients in his restaurant. From the fresh baked breads to the home-made salad dressings, nothing artificial or commercial made it past Esteban. And that’s what his customers kept coming back for. But when it came time to order sodas, Esteban and his customers were still frustrated by the lack of quality and choice in the world of soft drinks. Wanting to offer a variety of fountain sodas, Esteban was dismayed at the treatment and options available through the traditional “evil empire” soda companies. He didn’t want to sign his life away in iron-handed contracts, and he especially didn’t want to serve his customers anything made with processed sugar and High Fructose Corn Syrup. What to do? Esteban was already a huge fan of agave nectar, using it in much of his baking and as a sugar substitute in many sauces and recipes. He loved using it in recipes because it was delicious, all natural, easy-to-mix, and was much healthier than the traditional commercial alternatives. Esteban thought this wonder nectar just might make a delicious and healthier soda. And he was right! After many months of intense research, wild mixology, and copious tastings with friends and family, Esteban was sure he had found a better way to make soda. His inspired new agave creations were obviously healthier, but now he could mix a variety of fun and delicious flavors that his customers could get excited about. Esteban knew he was onto something, and on April 13th, 2005 he began serving Oogavé sodas in his restaurant. What happened next was a complete surprise. Esteban knew the delicious agave sodas would help him sell more of his food, , but he never expected that the sodas would become his most popular dish. People started talking about these yummy new soda creations, and fans of Oogavé started coming to the restaurant just for a drink of soda. As soda sales continued to grow, and other quality restaurants began to covet these Oogavé creations, Esteban realized he should be sharing these delicious and natural sodas with as many people as he possibly could. With the help of two close friends and the Small Business Administration, Esteban built his own little soda plant in Denver, Colorado. The operation was certified Kosher and Organic by Scroll K and the Colorado Department of Agriculture. In January of 2009, the ribbon was cut and the first delicious bottles of Oogavé rolled off the line heading for natural grocery stores and restaurants around Colorado. Today, Oogavé is available in natural grocery stores and thoughtful restaurants in 30 states. With your help, people all across this great land will be able to enjoy the fun and delicious goodness of Oogavé. Cheers!" We were all excited to try the Oogave soda when it arrived. The crisp fresh taste was unexpected and so yummy! The soda tastes light and refreshing, unlike any other brands we have tried in the past. The kids enjoyed the Madarin Key Lime and Rootbeer, and my husbad sampled the Grapefruit, Gingerale. Before we knew it there was only one bottle of Oogave soda left, and my husband ( although he LOVED all of the other flavors) was hesitant to try it. In the past we have tried other Watermelon Soda's and have never found one that we particularily enjoy. Generally they have an overpowering sugary flavor and don't really taste like Watermelon. My husband loved all of the other flavors so much, he decided to give the Watermelon Cream Oogave a try......and so did I. IT WAS DELICIOUS! As with all of the other soda's, it had a light and crisp taste with natural flavors that are so yummy! You have to try it to really understand the greatness of this soda! We all love Oogave in my house, I am sure you will too! 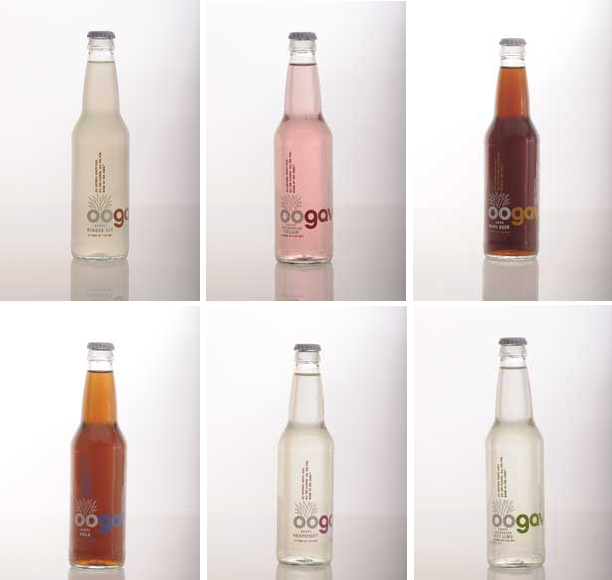 You can find Oogave natural Soda at a variety of retailer's and online. Here's your chance to taste the crisp natural goodness of Oogave Soda for yourself! One Lucky reader will win a sampler case of Oogave Soda and a Oogave t-shirt! Leave a comment~ Which Oogave Flavor are you most excited to try? The comment is considered your entry. I'd love to try Ginger Ale. I would like to try the rootbeer flavor! I live in Denver, but I'm not familiar with this. Now I want to try the Ginger Ale. Thanks for the contest. 1 entered salt lamp contest. 2 entered salt lamp contest. 3 entered salt lamp contest. 4 entered salt lamp contest. Main entry: I would like to try the Grapefruit flavor. I'm most excited to try the Mandarin Key Lime, followed closely by the Rootbeer. rootbeer! my family loves rootbeer! I sub via google reader 3! I sub via google reader 4! I sub via google reader 5! I would love to try the Rootbeer.Thanks for the chance to win!! I would like to try the Grapefruit flavor.